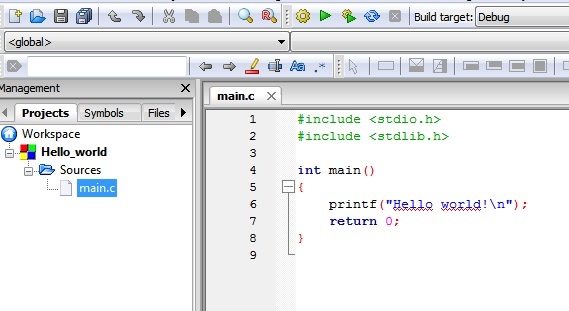 C language is one of the best programming language to start your coding experience, but it’s scary to use Turbo C/C++ on Window 7 onwards, learn how to start coding compiling C/C++ program in Windows 7 or Windows 8 without Turbo C++. Hi everyone, welcome back! 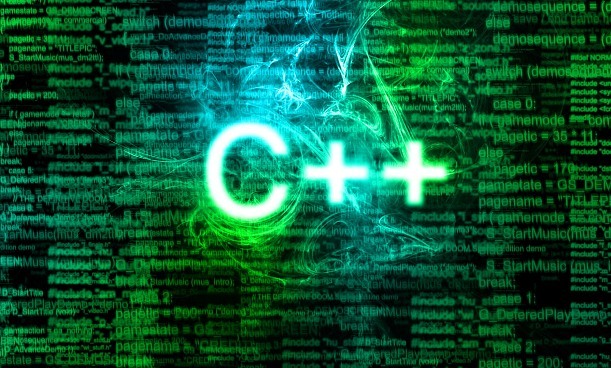 Today I am about to help you how to get started with your C/C++ programming in Windows 7/Windows 8 operating system. Windows 7 doesn’t support turbo C++ compiler as XP do, sometime when it do, it’s painful how to write code in small Windowed interface where barely anything visible on normal screen. 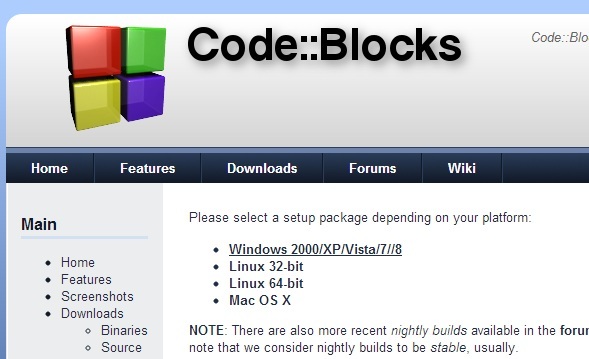 All you need to start coding is to download Codeblock, free IDE for GCC Compiler for Windows XP/vista/7 and Windows 8, along with this; you can use this on Various Linux distribution as well as on Apple’s Mac OS. 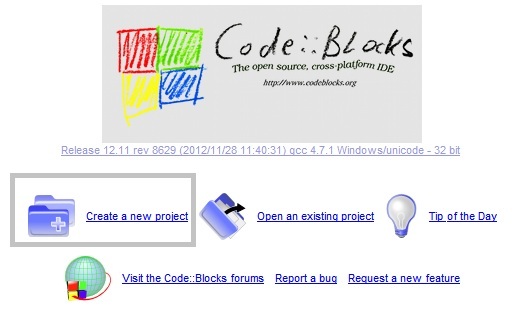 Visit Codeblock.org for complete project/sourcecode. Visit Codebloack.com and select Download tab and click on Download binary release, choose operating system as Windows and select the latest version available for download. 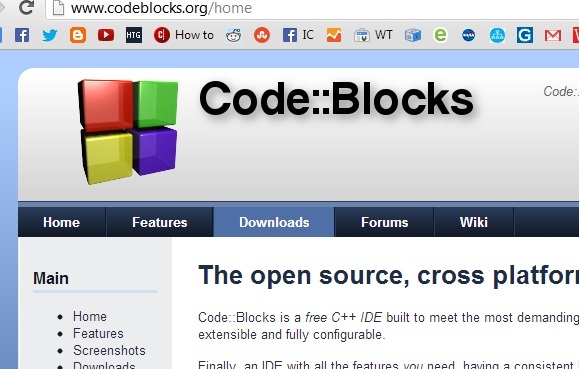 Once you downloaded and installed on your system, run the Codeblock on it. 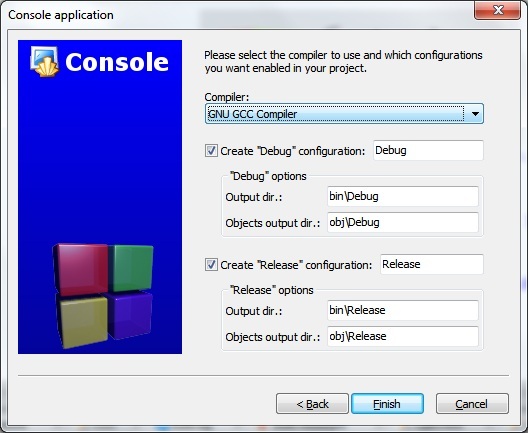 Once you’ve installed, and Run, on the very first screen, you need to select the compiler select GNU/GCC as default compiler. Now select the New Project. On the next Screen, select the console application and click next. Select the language you want, C/C++ and click next. Once you click next, and Finish it. Click on source and there you’ll find a file main, double click on it and on right, you’ll see a sample C/C++ program for hello world. 1. Built: For compiling and making the executing file. 2. Run: Run the existing build C/C++ program. 3. 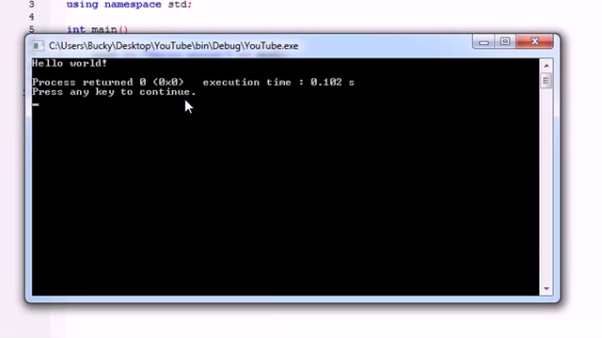 Build and Run: This is time saver, on new coded program, click build and run and there you go. So once you have sample program, select the Build and run and you can notice a command window showing the output of your Hello world program. Similarly you can make the changes or create new file, write source code, built it and run, that’s all. Share this post with your friends and let them know about this amazing and free method to get started with. I appreciate your time, comment below and let us know if anything in your mind. Nice i think i found something from this post. yeah, you can check more post related to Programming and Latest post too. Thank you so much! I almost killed myself trying to figure out ways on how to run C++ on Windows 7... Hehehe.... Hope to see more good reads on your site! Turbo C is the main reason of all these. Yeah Avinash, it will work on Windows 7 Windows 8 and Windows 8.1 as well, reason being Windows 8 is based on Windows 7 Structure. if you are facing problem with all programs, just use the chkdsk for disk checking your drive whre you stored those binary.